It’s Thirsty Thursday, and as all writers tend to do, by 11:30am we’re already starting to think about a drink. We all have our favorites. The Literary Man prefers his martini very dry, stirred, and up, with Tanqueray gin and a touch of vermouth. The Epic Poet likes his Italian Reds, preferably going straight from bottle #1 to #2 in mere minutes. And what about the Verbal Vixen?After a few too many experiences where she was veering straight toward Dorothy Parker territory (always under the table, never under the host, mon dieu! ), she now takes her vodka with soda, and so many limes that they overflow the beverage. 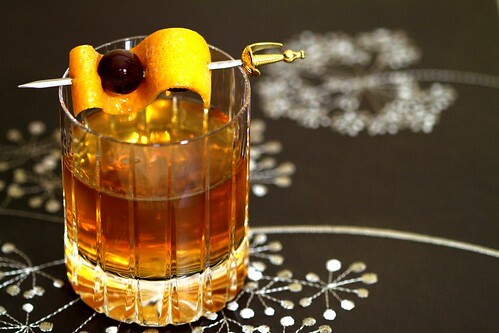 Our quest for the perfect drink has us thinking. What were the signature drinks of the Greatest American Writers? Luckily, the grandson of Ernest Hemingway himself has come to our aid. 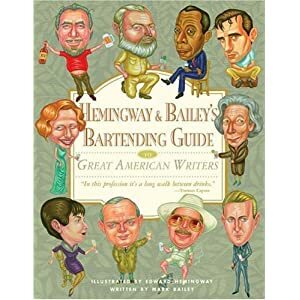 Published by Algonquin Books, HEMINGWAY AND BAILEY’S BARTENDING GUIDE TO GREAT AMERICAN WRITERS profiles beloved men and women of letters and gives recipes to the drinks they slung back. From Hemingway (Mojito) to Faulkner (Mint Julep), from McCullers (Long Island Iced Tea) to Raymond Chandler (Gimlet), this bartending guide is the end all be all. Powells Books writes the following in their synopsis: “Forty-three classic American writers. Forty-three classic cocktails. And a round of spirited stories of barroom bets, glamorous parties, late-night carousing, and outrageous pranks.” How can you not want to buy this book? We do, and we will. The only hole in this otherwise perfect book is this: Why is our Most Iconic Literary Lady of All Time, Dolly Parton, not included? Her drink of choice? Jack Daniels. Guess it’s hard to include a recipe on that one.  Archived in Book Recommendations, Dolly Parton, Iconic Literary Ladies, Iconic Literary Men, Literary Randomness and tagged Algonquin Books, Carson McCullers, dolly parton, Ernest Hemingway, Hemingway and Bailey's Bartending Guide, Raymond Chandler, william faulkner. Bookmark the permalink.